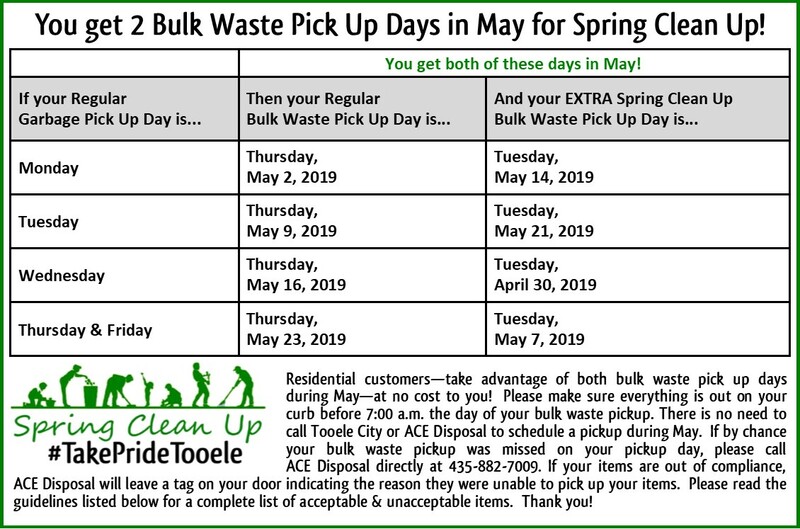 If you have Bulk Waste items to be picked up, please call ACE Disposal at 435-882-7009 and let them know you have a pickup, prior to your pickup day. This ensures that your items will be on the schedule and will be picked up! Bulky waste service is provided year round with the exception of inclement weather. Your bulky waste should be placed curbside the day before pickup day. DO NOT SET OUT BULK WASTE LIKE THIS! IT WILL NOT BE PICKED UP! BOX IT! BAG IT! BUNDLE IT! For this type of pickup it is required to BAG, BUNDLE, or BOX your items. Your boxes, bundles, and bags cannot weight more than 75 lbs. Bulk waste will not pick up anything that is marked “FREE” or “PLEASE TAKE” OR “GIVING AWAY”. 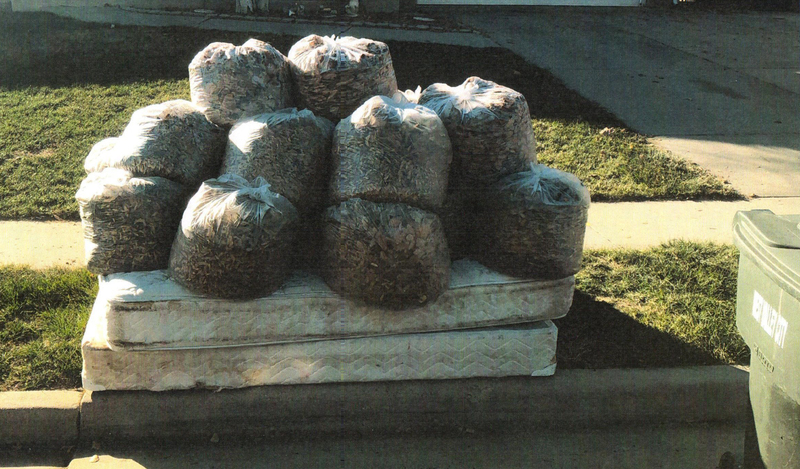 Bulk waste will not pick up anything that is leaning against fences or mailboxes. Do not park cars or other vehicles in front of your bulk waste or it may not be picked up. We ask you to set out your bulk waste the way would you would want to pick it up. The driver loads the bulky waste by hand. Therefore bagging, bundling, or boxing is required. Boxes must be 30 gallons or smaller (DO NOT set out boxes in wet weather). Bundles of limbs must be less than 18″ diameter, less than 5 feet long, and weigh less than 75 pounds. If materials you put out are improperly prepared, they will not be picked up. This service provides for the curbside collection of old appliances, furniture, and carpet including couches and mattresses. Get them to the curb and they will be removed (items with freon must have the freon removed and then a label placed on the item indicating such removal). If you have any questions, contact Ace Disposal at 435.882.7009. Generally, anything you can get inside your container should go in there. If you trim your trees or clean out the garden and occasionally have too much yard waste for your can, we can get it on bulky waste day. Everything except large limbs (larger that 4″ in diameter) must be bagged, bundled or boxed. Loose piles of yard trimmings and limbs won’t be picked up. Remember, these bundles must be less than 5 feet and weigh less than 75 pounds. If you are in between pickup days, always remember that the Tooele County Solid Waste Disposal Facility will take green waste for a fee of $7.00 per load. Questions about fees and other items for the Tooele County Solid Waste Disposal Facility may be directed to 435.843.4785. If you clean out the garage, basement or closets and have a box of old worn-out junk to get rid of, put it out on bulky waste day and Ace will pick it up. Remember, this service is intended to help with those once or twice a year cleanup projects. Our intention is to containerize all of our weekly waste. If you consistently have more than you can get in your cart, you need to obtain a second can. Construction and demolition waste will not be accepted or collected on bulky waste day. If you just tore down that old shed in the backyard, you need to make arrangements to take it to the landfill. We will not accept full pallets unless they are broken down and bundled to the correct size requirements, then the bundle will be picked up in bulk waste. If you need more information regarding the Tooele County Solid Waste Disposal Facility, please call 435.843.4785. All of the normal, everyday household garbage you generate (like food waste and packaging) must be disposed of weekly in your big green cart. The State Health Department requires that garbage be collected weekly. If you consistently generate more than you can stuff into the cart, we’ll bring you a second cart for an additional $5.50 per month. You can request an additional container by calling 435.843.2150. We will not pickup extra garbage outside the cart on your normal collection day or bulky waste day. You can get rid of grass clippings by composting them in your backyard or by buying a mulching blade for your lawnmower and just leaving them on the lawn. If you don’t leave the grass too long between mows, it won’t leave a mess. If you want to dispose of your clippings, put them in a bag or dump clippings on top of other garbage in your cart so they don’t get stuck in the bottom. Leaving a bag of grass clippings lying around in the hot summer sun waiting for bulky waste collection day conjures up visions of awful sights and smells. Grass clippings are not to be put out for bulky waste collection. Paints, oil, solvents, bug spray, weed killer, batteries, old car parts, fertilizers and such are considered household hazardous wastes and will not be collected. You can get more information about their collection by calling 435.277.2300. Any kind of waste from business, tires or piles of brick, broken concrete or dirt will not be collected. For more information on disposing of these materials call Tooele County Solid Waste Disposal Facility at 435.843.4785. 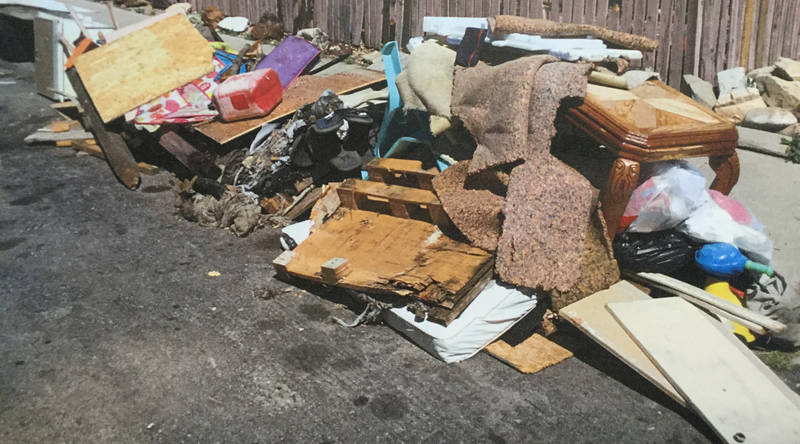 The bulky waste collector has the discretion to refuse items which do not meet these guidelines or that which he believes will pose a risk to human health. Please call Tooele City Utilities at 435.843.2150 or email us at utilities@tooelecity.org. If your trash collection Bulky Waste collection was missed, please call Ace Disposal at 435.882.7009. For items not covered above, please call the Tooele County Solid Waste Disposal Facility at 435.843.4785.